Doldrums, bursting forth from the same Montreal creative warehouse that produced the likes of Grimes and Majical Cloudz, is the art-music project of 25 year old Airick Woodhead. His sound has been likened to LCD Soundsystem as well as borrowing from mid-90s electronica and the stranger ramblings of baggy bands like the Happy Mondays. New album The Air Conditioned Nightmare, released in April, is a restless blur of freak-pop, and as the single ‘Loops’ attests, it contains some incredibly catchy tracks. What is more, the album name is an offshoot from a 1945 Henry Miller essay in which he returns to his native US after years as an expatriate. In our book, that immediately makes it worth a listen. 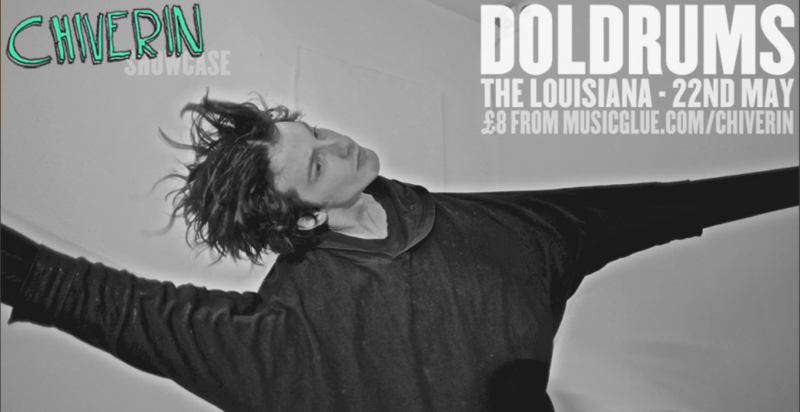 Billed by The Louisiana as quite possibly the best gig of the year, this is one not to be missed! Tagged doldrums, the air conditioned nightmare, the louisiana. Bookmark the permalink.